Brigham Young’s Teachings on Adam, p. 9 “In my doctrinal teachings I have taught many things not written in any book, ancient or modern. And yet, notwithstanding the many things I have told the people, I have never looked into the Bible, the Book of Mormon, or the Doctrine and Covenants, or any of our Church works to see whether they agreed with them or not. When I have spoken by the power of God and the Holy Ghost it is truth, it is scripture, and I have no fears but that it will agree with all that has been revealed in every particular.” — Deseret News, vol. 26, no. 18, 6 June 1877, 274, column 5, paragraph 2, discourse given by President Brigham Young, 25 May 1877, Logan, Utah, location not specified. Tip of the Day November 28 — Where is Zion: America, or Israel? Tip of the Day, September 4 By Who’s Consent? Witnessing Tip of the Day August 19 Was Apostle John a Polygamist? June 18 – What more could He give or do? Heb. 9:11-12; “But Christ being come and high priest of good things to come, by a greater and more perfect tabernacle, not made with hands, that is to say, not of this building; Neither by the blood of goats and calves, but by his own blood he entered in once into the holy place, having obtained eternal redemption for us”. Journal of Discourses, 3:205-206; “…God never bestows upon His people, or upon an individual, superior blessings without a severe trial to prove they will keep their covenants with Him…For this express purpose the Father withdrew His spirit from His son, at the time he was to be crucified. Jesus had been with his Father, talked with Him, dwelt in His bosom, and knew all about heaven, about making the earth, about the transgression of man, and what would redeem the people, and that he was the character who was to redeem the sons of earth, and the earth itself from all sin that had come upon it. The light, knowledge, power, and glory with which he was clothed were far above, or exceeded that of all others who had been upon the earth after the fall, consequently at the very moment, at the hour when the crisis came for him to offer up his life, the Father withdrew Himself, withdrew His Spirit, and cast a veil over him. See Journal of Discourses 3:371. Do Mormons ‘Deserve’ to be Led Astray? 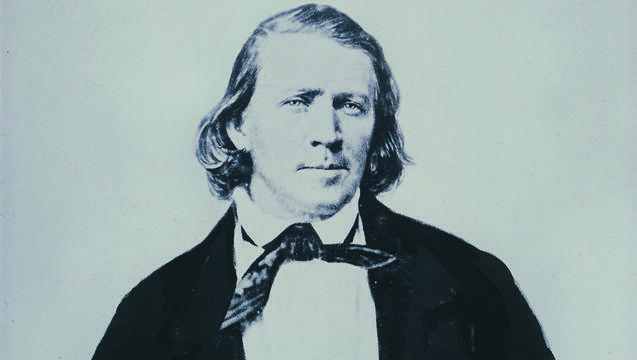 Discourses of Brigham Young, p. 62; “Should you receive a vision or revelation from the Almighty, one that the Lord gave you concerning yourselves, or this people, but which you are not to reveal on account of your not being the proper person, or because it ought not to be known by the people at present, you should shut it up and seal it as close, and lock it as tight as heaven is to you, and make it as secret as the grave. The Lord has no confidence in those who reveal secrets, for he cannot safely reveal himself to such persons.” Note: this is on p. 40 when not online. I’ve no doubt many Christians have voiced the same thought Calvin did, and held strongly to the belief if Jesus isn’t the orchestrator of life, no one is. The assurance of salvation Christians enjoy is a key indicator of their devotion to the God they worship.